It’s hard to get excited about standardized tests, but they are important if you are planning to go to college. While you don’t need to get excited about the ACT or SAT, you should get to know more about each test to see if one or the other plays to your strengths in test-taking. We’ve compiled some helpful information about the differences between the two standardized tests and tips for how to prepare for them. Regardless, make sure you that you take the test(s) no later than what is required by the colleges and universities you seek to attend. There are often testing cutoff dates that you need to be aware of. 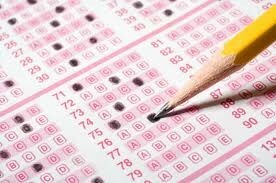 ACT is an achievement test; the SAT is more of an aptitude test. The ACT does not penalize for guessing; the SAT penalizes ¼ of a point for each wrong answer. ACT questions tend to be more straightforward and is more of a “big picture” exam (composite score as a whole not on each section like the SAT). SAT has a stronger emphasis on vocabulary. ACT tests more advanced math concepts (arithmetic, algebra I and II, geometry and trigonometry). The essay is the first section of the test. You’ll only have 25 minutes to plan, write, and edit your essay on test day. As you become more comfortable with the time constraint, you’ll be able to figure out a schedule that works for you. Make sure you have a clear thesis with two or three examples from a range of subjects (ex. personal experience, current events, literature or history). Know the structure of the test. There are 10 sections for a total time of 3 hours and 45 minutes. Questions at the beginning of a section are easier, answer the easier questions in less time to make sure you have enough time for the more difficult questions at the end of the sections. In the critical reading section, the detail-oriented questions should take less time that more general questions about the passage as a whole. Get comfortable with your calculator. Make sure you know any necessary formulas/equations. The test will give you commonly used formulas, but you need to know when to use which formula. Draw a picture when necessary (word problems) don’t be afraid to write in the test booklet. Make sure to review Algebra I and Geometry for the math section. Rather than going back and forth between the test and your answer sheet in a section, it is faster to write all of your answers in the test booklet and transfer them to the answer sheet at the end. Make sure to read directions/figure out what exactly the question is asking; look for key words. If you can eliminate even just one answer choice on a question, take your best guess, otherwise skip it. Use process of elimination, look for extremes like “never” “only” and “always” in the critical reading section; look for words that sound similar in the writing section, and look for opposites in the math section (like a substitution of 1 or -1). If you don’t know the answer to a question, skip it. You are penalized ¼ of a point for every wrong answer and zero points for a blank answer. Expect for the math grid-ins, where there is no penalty for guessing. Relax, take a deep breath and don’t second-guess yourself. Don’t forget to bring your admission ticket, pencils and erasers, a photo ID, calculator and a drink or snacks. Take practice tests and look at practice questions. Don’t skip questions. Answer each question because there is no penalty for guessing.